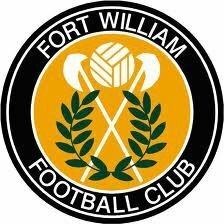 Fort William were knocked out of the Scottish Cup on Saturday by Linlithgow Rose after playing most of the second half with ten men. The scoreline was goalless before Fort goalkeeper Mateus Kulbacki was sent off for handling the ball outside the penalty area ten minutes into the second half. The ‘keeper rushed out of his area to thwart the Rose forward who tried to slide the ball past the keeper in a one-on-one situation but the Fort ‘keeper diverted the ball with an outreached arm. The resultant free-kick was well saved by the stand-in goalkeeper. The sending off proved to be the decisive factor as Tommy Coyne opened the scoring for the hosts on the hour mark after controlling a deep cross into the box and driving the ball low into the net. The Fort continued to defend well and stifled Linlithgow’s forward line. However, the home side began to make the numerical advantage count and started to overload on the right flank to put the Fort under pressure. It was from that wing that Linlithgow got their second of the match with just five minutes to go as a well worked passing move created space for midfielder Robert Sloan to curl the ball into the bottom corner from the edge of the box. The third and final goal came in the 87th minute when another low cross from the right wing was cushioned into the net at the back post from three yards out. Rose are no stranger to cup runs themselves having progressed to the latter rounds of the national competition in recent years and so the Fort can be pleased with their dogged performance. 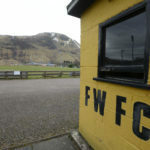 The Lochaber side are back in Highland League action this weekend as they take on Lossiemouth at Claggan Park.